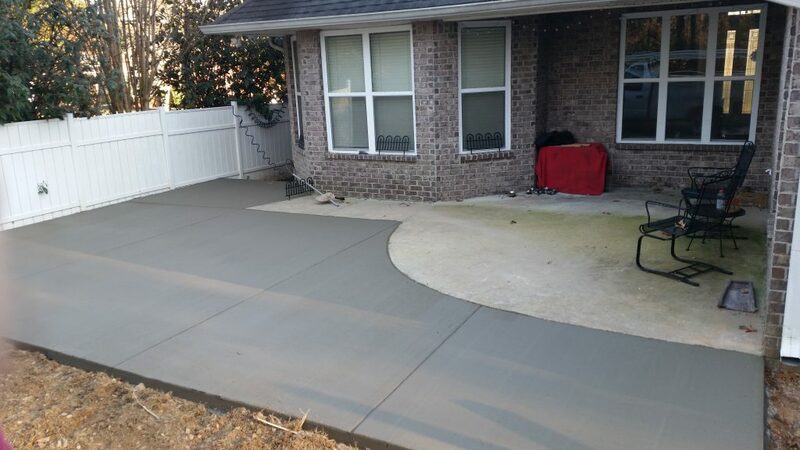 This is a project where the homeowner just didn’t have enough patio space. 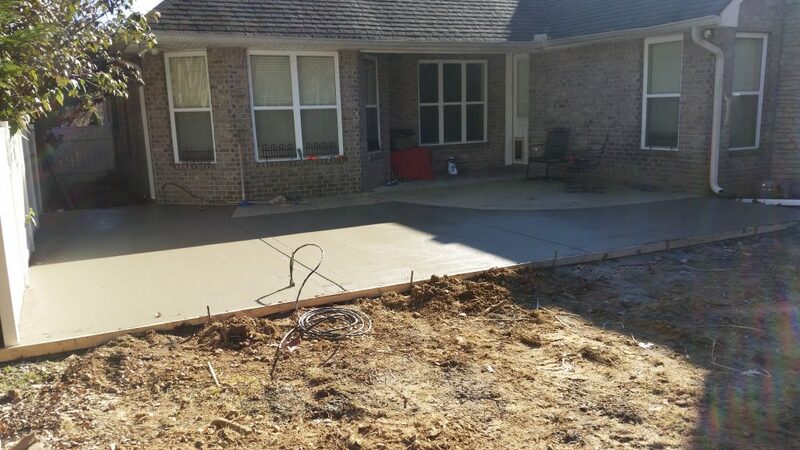 They had recently bought the home and needed more space for their hottub. 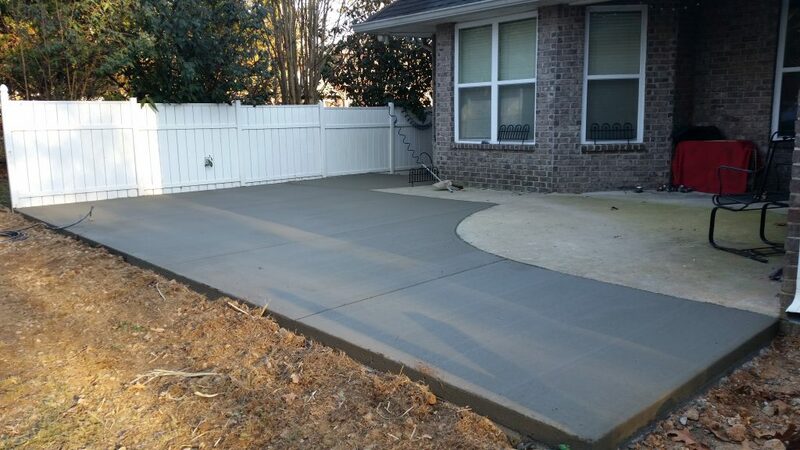 We started off by removing the existing landscaping and fencing. Then we leveled and compacted a gravel base. 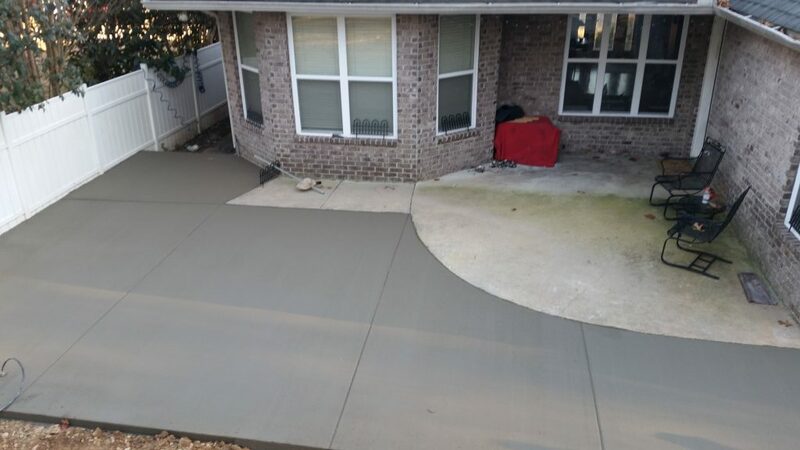 We formed two steps that lead to a sidewalk on the side of the house, and we also routed a gutter to drain underneath the concrete outside of the fence. 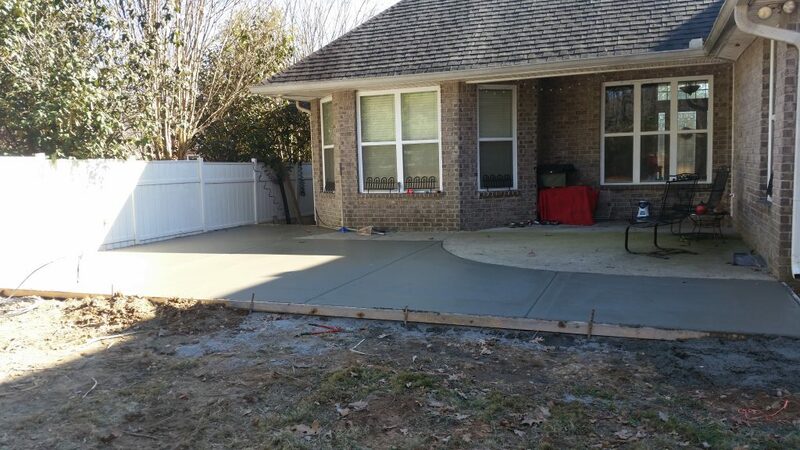 We used a 3500 psi concrete mix and the customer chose a broomswept finish. The concrete was also reinforced with wire mesh. 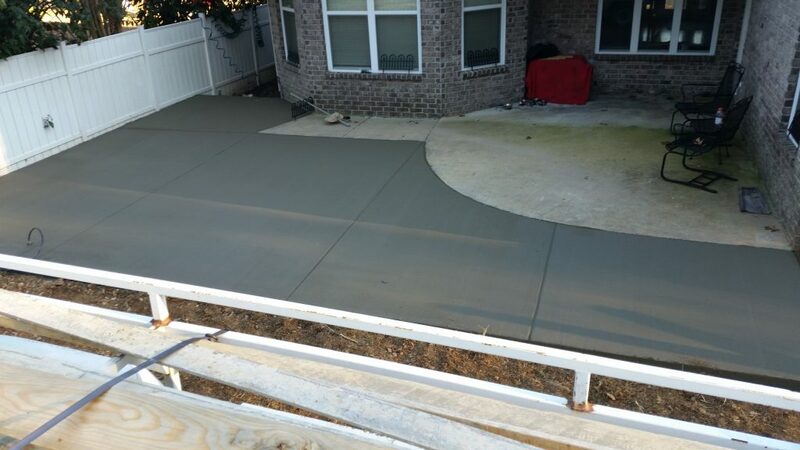 The customer was pleased with the end result, having gained the needed hottub space and more than doubling their patio square footage.